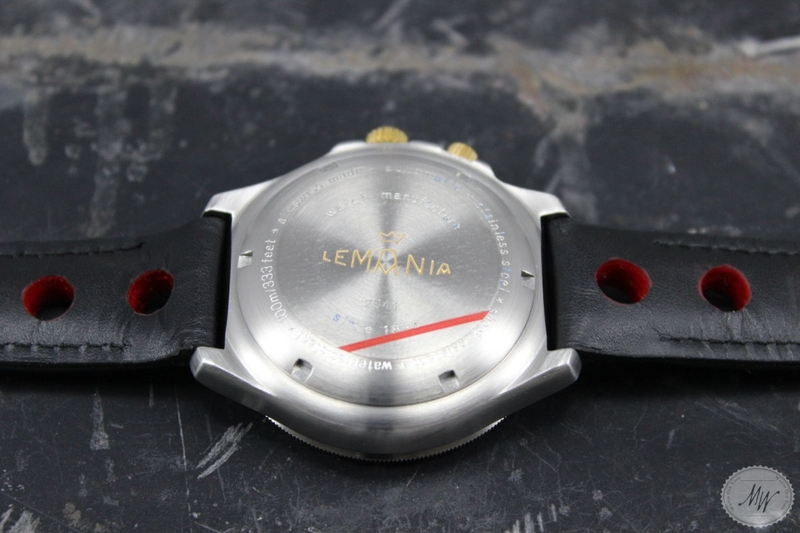 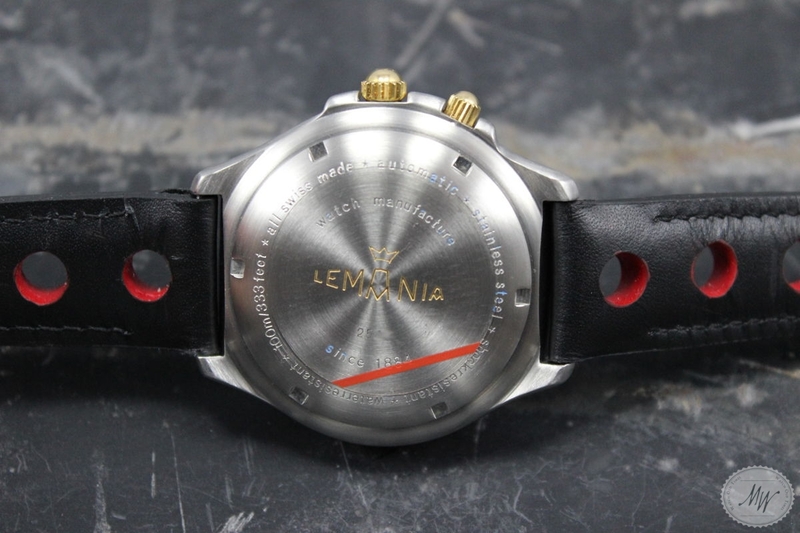 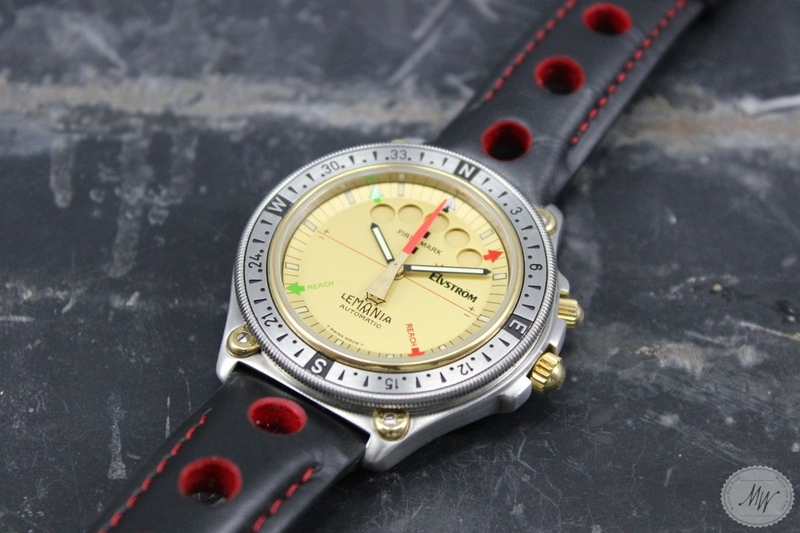 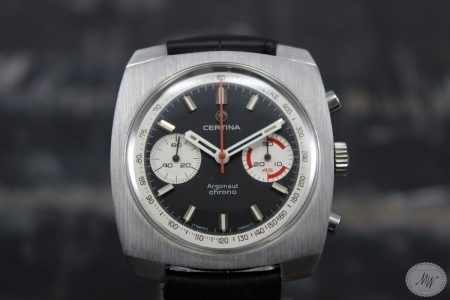 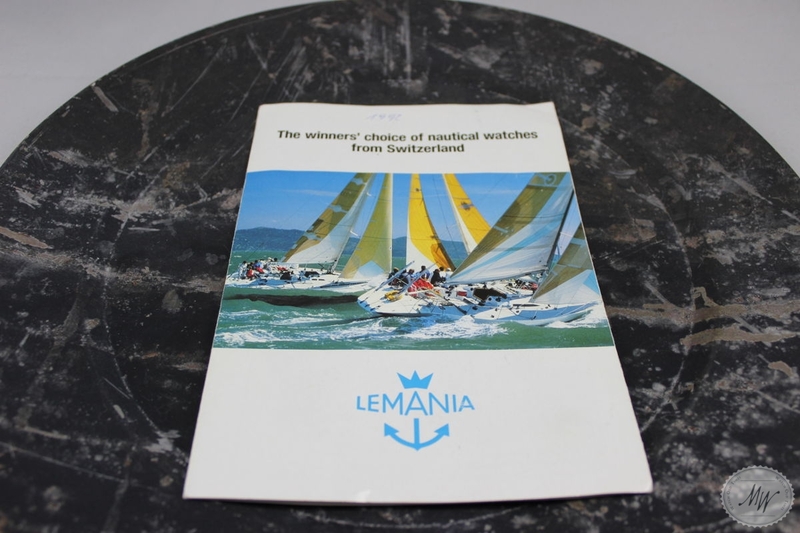 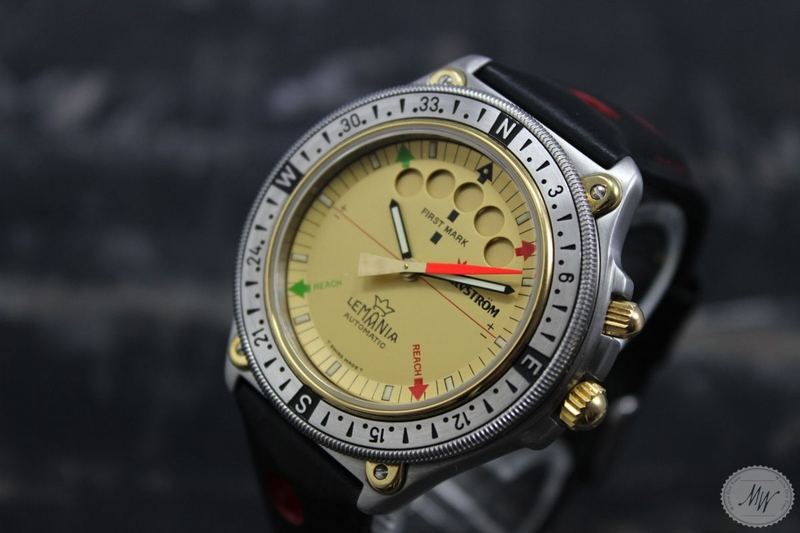 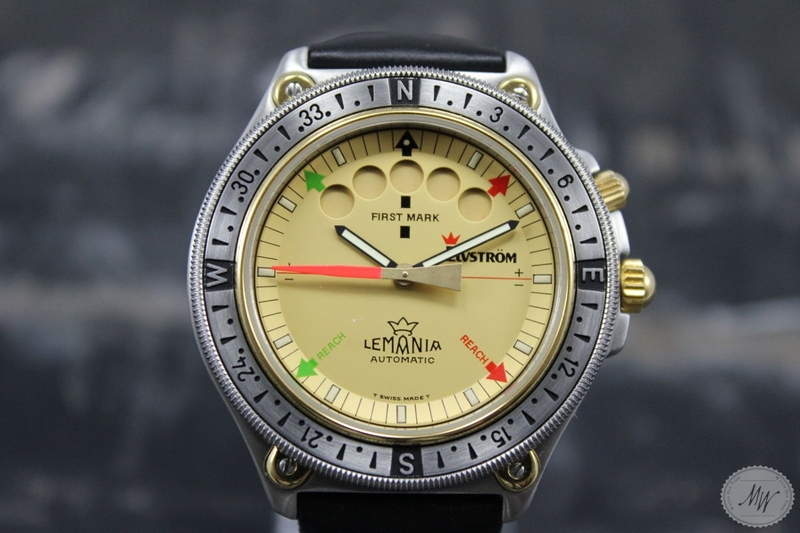 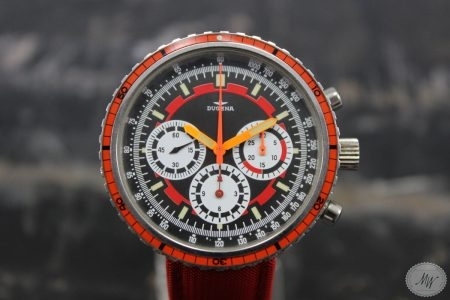 Very rare Lemania Elvström Regatta ref. 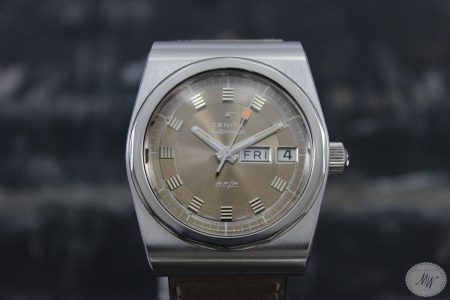 3003 B from the 70´s in unpolished and in “NOS” condition. 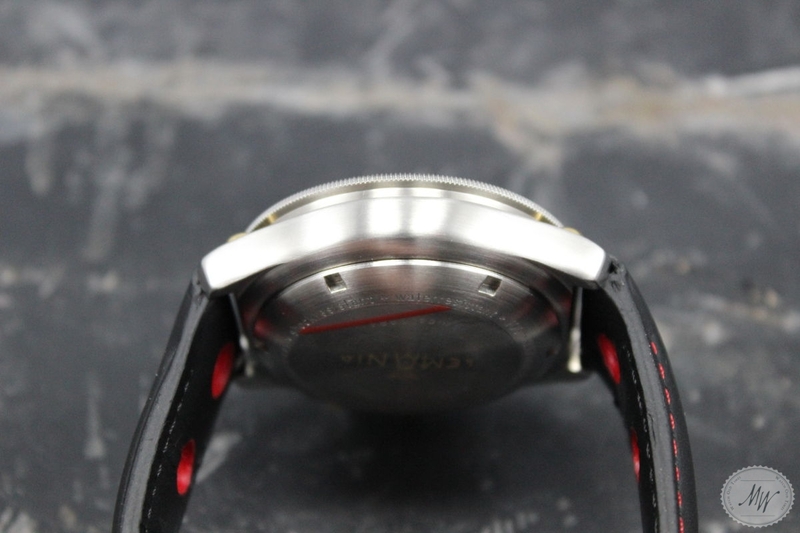 The case is showing no signs of wear. 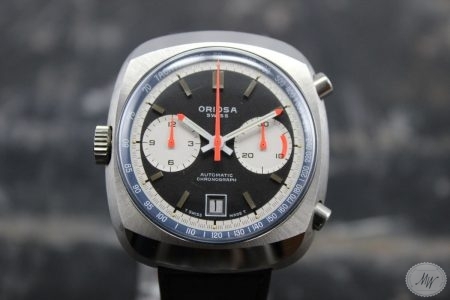 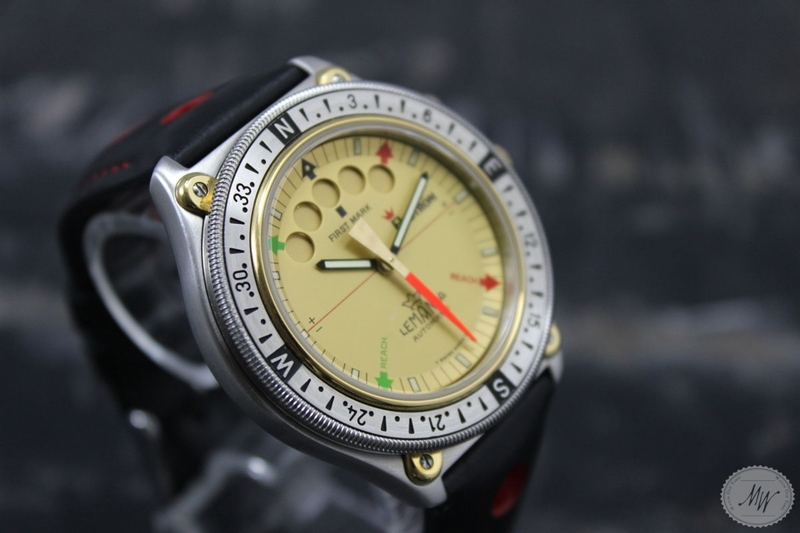 The dial and hands set are in mint condition. 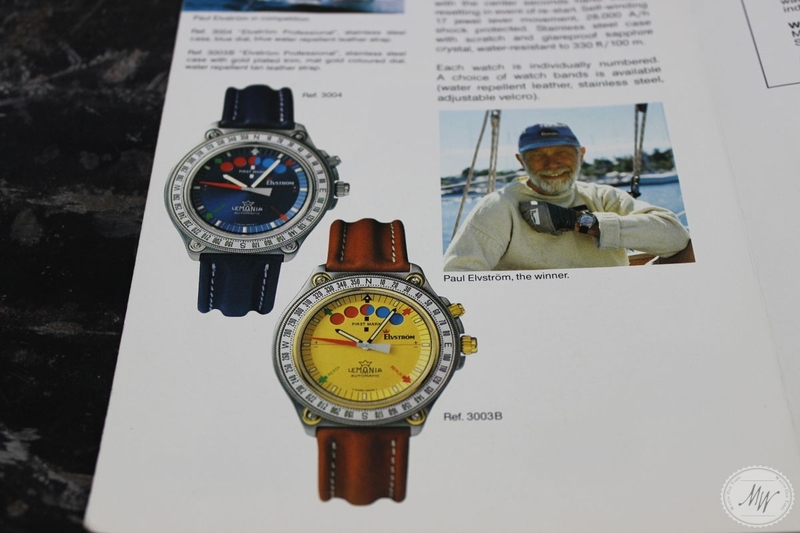 The watch will be delivered with its original brochure (see pictures). 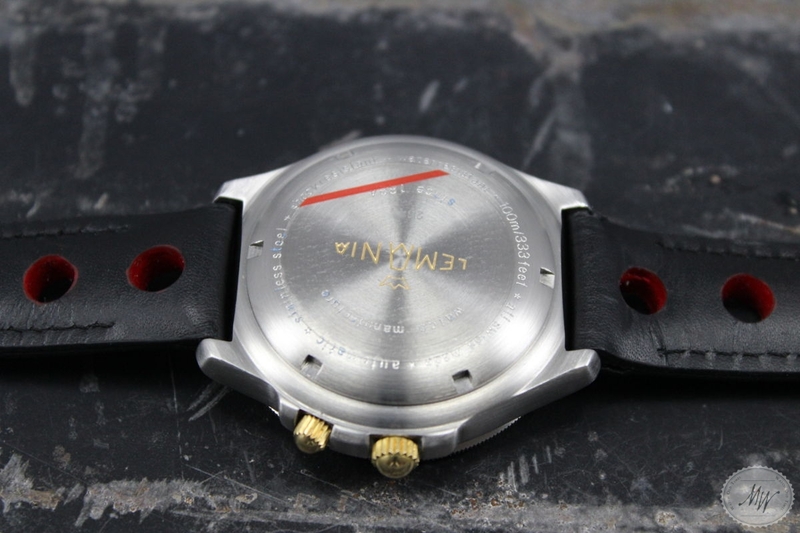 The movement (cal. 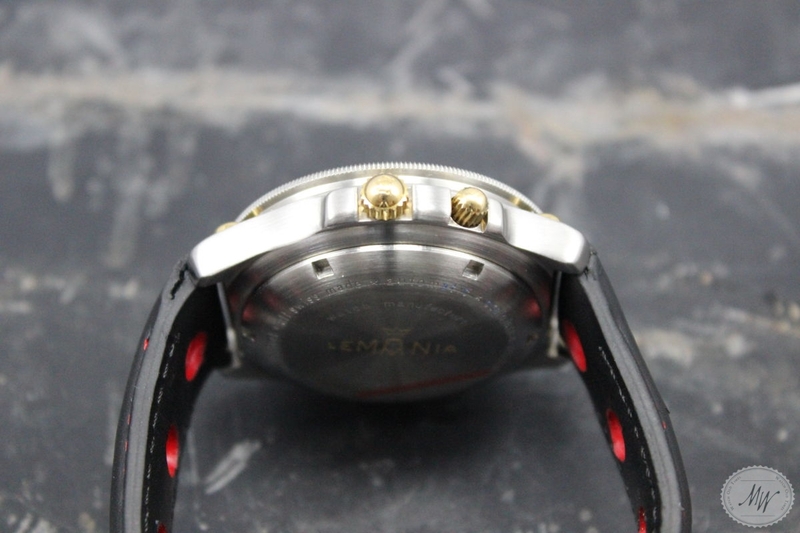 1345) has just been completely overhauled and is working perfectly well in all functions.